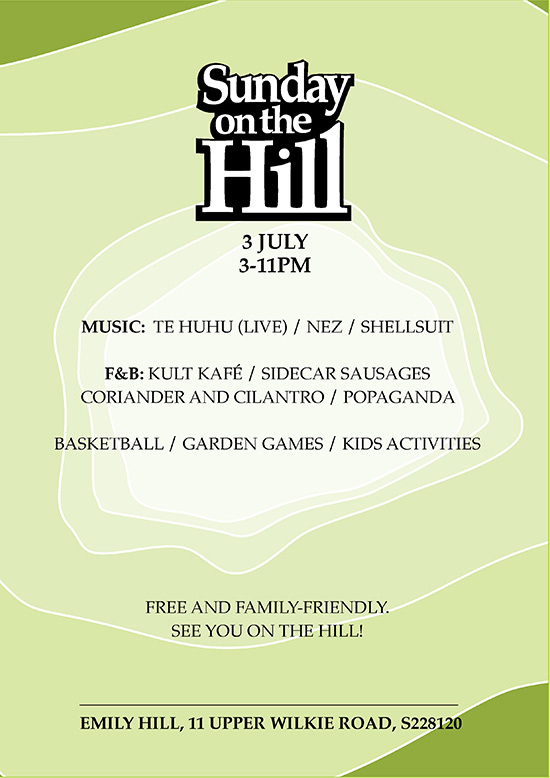 The re-boot of “Sunday at the Training Shed”, “Sunday on the Hill” continues our tradition of throwing a monthly Sunday party with great music, food and vibes for everyone to enjoy. Featuring: Te Huhu (live). All the way from Aotearoa, New Zealand with a drowsy blend of atmospheric, stoner, blues, psych-folk-rock jams. Perfect for a relaxing Sunday afternoon. DJs NEZ and Shellsuit on deck duties this month. And for the first time we will be opening up the house for some after-dark dancefloor action! Starting at 5pm, we have Capoeira for kids with Contramestre Tucum! Capoeira is a Afro-Brazilian martial art combining elements of combat, music and acrobatics. F&B by kult kafe, Sidecar Sausages, Coriander and Cilantro, and Popaganda. Garden games, fun stuff for kids, basketball and more.